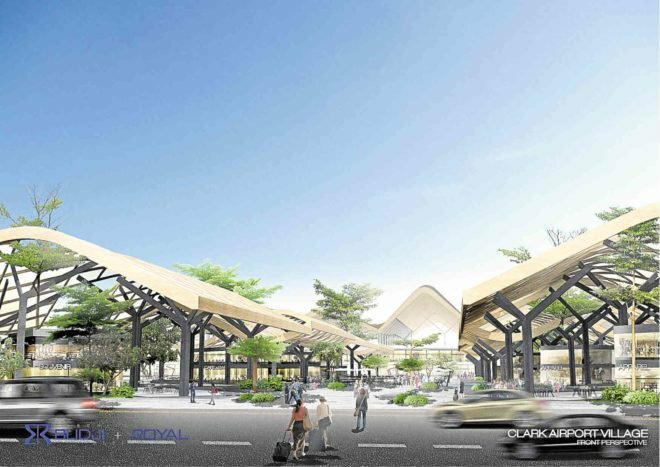 The new 100,000-square-meter terminal, about the size of Hong Kong International Airport’s Terminal 2, will finally manifest itself to the world complementing the main Clark International Airport and to decongest the Ninoy Aquino International Airports (NAIA). "This is the first modern Filipino architecture with the concept of foreign settings and Filipino standards," said Budji+Royal. The firm added that this will be a world renown mega project, outwitting the traditional Filipino infrastructure concept.The design bears a sense of place—the soul of the country. The airport will also showcase the use of advanced and sustainable materials. One of the interesting features of the Megawide project is the garden of Tropical Plaza located at the entrance of terminal 2 surrounded with amenities, where there is the sendoff and welcome section. Most of the designs are bold and practical, the new branding of luxury and cozy ambiance speaks for space, openness, lightness and inexpensive materials.